Don't wait to build - get a beautiful Dorn home NOW! This lovely home in gated Brookside - walk to the Club at Prescott Lakes - is an entertainer's delight and move-in ready! 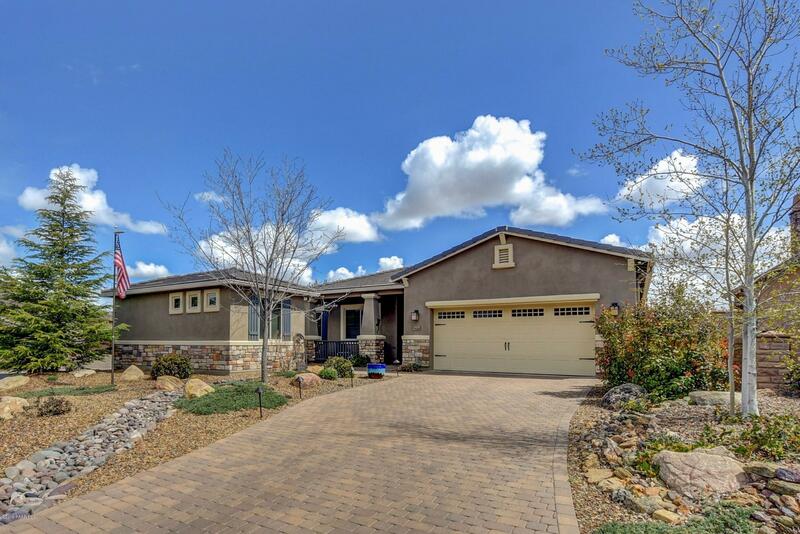 On a raised corner lot, this home boasts beautiful landscaping and curb appeal w/a pavered drive and guest casita. Main home is the beloved Spyglass model with dining and master bedroom extensions. Light, bright open floor plan has tile and wood lam flooring, gas fireplace, updated ceiling fans, granite and huge slider to gorgeous backyard. Master bedroom features barn door, bath has tiled walk-in shower. Office/bedroom with built-ins, 1/2 BA + second guest suite w/tiled upgraded shower. Casita with full bath. Back yard is fantastic! View, pavers and modern style gas fire pit. Garage has 4' extension. Wow!